Here's two ways you can follow the "smart money" to quick profits of 270% to 455%! And creating huge opportunities for early investors. To a mammoth $100 billion market in just a few short years. The market for legal weed is growing by 1,392%! That’s the perfect setup for quickly making 5X, 10X and even 20X profits. And ride their coattails for massive returns. You see, two things are happening right now. First, the biggest marijuana stocks are quickly BUYING up the smaller players. Some of these deals are “small” -- like the $101 million BUYOUT of a tiny health company by Canopy Growth. Others are huge -- like the $2.5 BILLION BUYOUT of MedReleaf. The strongest companies are buying the small players at a rapid pace. Second, alcohol, tobacco, and even pharmaceutical companies see the growth potential from legal marijuana. But rather than creating their own pot divisions...they simply BUYOUT the best companies or buy large stakes in these existing businesses. That’s the quickest way for them to get a piece of the market share, as well as exposure to the growth potential. They don’t want to waste any time -- because they know how urgent this setup is. Because these buyouts are all driven by the “waves” of legalization sweeping the marketplace. And the next wave of explosive profits in this “Marijuana Buyout Boom” will occur after Canada goes 100% legal October 17th. Those who haven’t staked their claim well before then may miss their chance... forever. And achieve the lifestyle of their dreams. My name, by the way, is Ian Wyatt. I got my very first stock, Exxon before I could even ride a bike! I was busy studying companies’ quarterly earnings reports and balance sheets. Needless to say, I was a bit of a late bloomer in the “social arena” – but I more than made up for it when it came to investing to make money! All from stocks I had invested in during my teenage years. But, I wanted to share my passion for investing. So back in 2001, I began Wyatt Investment Research. To empower people to take charge of their portfolios -- and make incredible wealth from the market. Today -- 17 years later -- my investment research operates out of our farmhouse office in the Vermont countryside. I look for the greatest opportunities in the investment world -- ones that can turn small stakes into sizeable portfolios. This is the most exciting (and lucrative) setup I’ve seen in my entire career. But, I’m sure you are wondering: how do I know this “Marijuana Buyout Boom” is for real? This Fortune 500 company owns Corona, Robert Mondavi, Canadian Whiskey, and Svedka. Buying nearly 10% of the entire company! Creating an entirely new product category to complete with beer! Constellation’s CEO anticipates massive growth and profits once marijuana is legalized in Canada. Already, this one “Buyout Boom” caused Canopy Growth to soar 176%... in just two months! Constellation just reported a $700 Million in PROFIT from their investment in Canopy. This one investment has been incredibly lucrative for Constellation. You can bet other companies are going to follow. In order to deliver value to their shareholders, they NEED new areas to expand their business. They’re established brands in established markets. They aren’t going to be able to expand alcohol and tobacco sales by 100%...50%...or even 20%. So they’re rushing to gain exposure to an industry growing by 1,392% in the next few years. They are racing to open their checkbooks to BUY a piece of this growth...because they know their share price depends on getting into this major opportunity. Some estimates peg the market at $100 billion! Yet, the CEO of Constellation Brands thinks that UNDERSTATES the growth potential. He sees the global market for pot growing to $200 billion in just a few years. To put that in perspective -- that’s the same as the entire alcohol market for beer, wine, and spirits in the U.S. If the U.S.fully legalized pot -- could we soon see pot sales in the U.S. surpassing the current $200 billion in annual alcohol sales? That would mean the global pot market would be even larger than $200 billion -- dwarfing even the projection from Constellation’s CEO. The potential is truly enormous. And early investors will see chances to get payday after payday in the months ahead. LESS than 10 are attractive buyout candidates. While AVOIDING 97% of the publicly traded marijuana stocks. Right now, just seven tiny stocks at the top of my “BUY NOW” list. 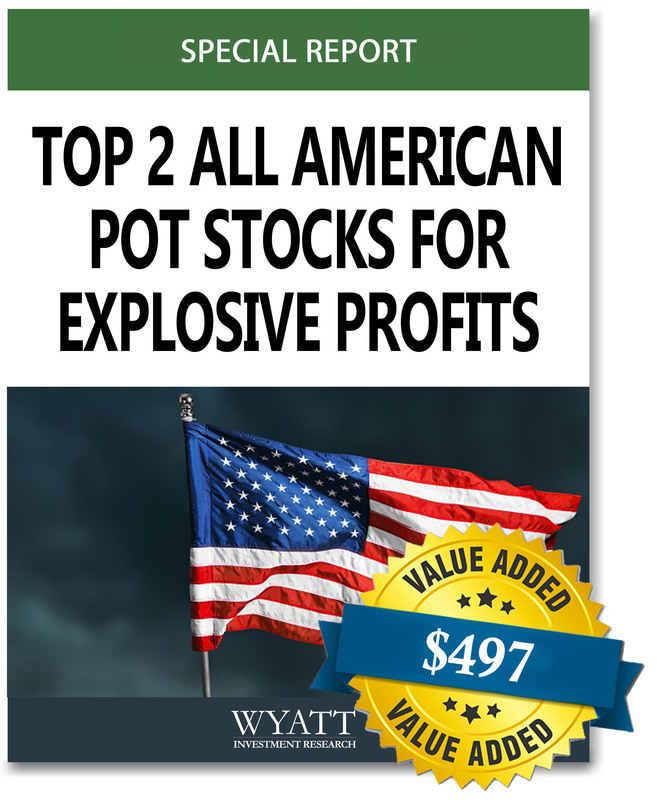 You can NOT invest in any old pot stock and expect to make 1,392% returns. I’d estimate that 90% of today’s marijuana companies will be OUT OF BUSINESS. Bankruptcy. Closed up shop. And perhaps sold for pennies on the dollar. Meanwhile, a handful of companies will dominate the entire legal marijuana market. These “World Dominators” will buy up the other smaller, quality pot companies. Plus, companies in other industries – who want exposure to this huge growth market – will be buying up smaller players. Because that’s exactly what happens with every new industry. Only a few of them survived -- and are now world dominators. And even when Amazon bought Zappos. Not all of the dot com companies were success stories. And the exact same thing will happen in the marijuana sector. Of the 366 pot companies that exist right now, I anticipate less than 10 of them will survive. But with the right analysis, we can figure out which companies are the strongest businesses. Basically the best-run pot businesses on the planet. Those are the ones that will survive, get bought out, or will merge together. No matter which happens -- you can get paid big. If they merge together, you get paid. Like on January 24, 2018, when Aurora merged with CanniMed. As a result of the merger, CanniMed went up 187% in just 3 months! That sent MedReleaf surging 227% in just 6 months! Are you beginning to see why this might be your chance to make 200%...400%...or even more thanks to this “Marijuana Buyout Boom”? 35 million Americans use marijuana at least once or twice every month. That’s a huge market – accounting for 14% of Americans. Another 20 million Americans use cannabis occasionally. Plus, another 78 million people have tried cannabis – but don’t use it regularly. What’s stopping all these potential users from embracing cannabis? In the last one-half century, smoking among adults has plunged by 64%. And until recently, smoking dried cannabis was the ONLY way to get high. The current legalization movement in Canada and the U.S. is changing everything. Drinks infused with CBD or THC! Major beverage companies want to get into “healthy” drinks infused with CBD. On Sept. 17, Bloomberg reported that Coca-Cola (NYSE: KO) was looking to get into CBD-drinks. These huge Fortune 100 firms are desperate for growth… and they’re turning to cannabis. Brightfield Group – a cannabis and CBD research firm – estimates that CBD will be a $22 billion market within four years. This hype is sending some cannabis drink stocks surging! After the company announced plans to develop cannabis drinks. Today, one undiscoverd Canadian cannabis company could dominate the beverage business. It’s the perfect partner for Coca-Cola or PepsiCo. And it’s developing a line of cannabis beverages to hit the market in 2019! Today, you can pick up shares for around $0.50. Best of all, I’m making this report available to you for free as a part of my “420 Club”. I share all my latest updates and research with a select group of people who are members of this elite club. Did you know that one single event can send a stock price surging? Well, here’s the best news. This one little-known indicator predicts some of the biggest stock market winners! How does this “growth trigger” occur? Well, it’s all thanks to an investment from a major company. When this large company decides to invest in a smaller company, it’s a huge deal. It gives that smaller company a boost of legitimacy… and the capital investment helps accelerate the firm’s growth as well. Once this “major player” invests in a company… it’s like pouring gasoline on a fire. And right now, this “Kingmaker” has set its sights on a tiny cannabis company -- and put more than $5 million in cash to fund this growth stock. And if history is any guide...this could be the biggest windfall yet. That’s because this Canadian cannabis producer is building a “cannabis brand”. It’s planning to launch retail stores across Canada. Even better: this pot producer is also awaiting final approval of FOUR licenses. And the company predicts FULL APPROVAL within 3 weeks! These are basically licenses to print money in Canada. And Health Canada’s approval could send this stock surging - overnight. Very few of these licenses are granted to sell pot in retail. That basically creates government enforced monopoly on the consumer side of pot sales. So the ONLY stores you could buy alcohol were Budweiser controlled. Do you think it would be easy for Budweiser to make money selling alcohol in that scenario? When the government makes it legally impossible for other alcohol competitors to challenge them? Plus, this marijuana company isn’t just on the retail side of things. They produce the cannabis as well. Their Phase 1 plan is to produce 3,700 kg a year. That’s enough to make $44.4 million in sales. Then, in Phase 2, they plan on producing 6,500 kg a year. That’s enough to produce $78 million in sales. That means they have the potential to produce annual sales of $180 million. That represents a 305% increase in sales. Most importantly: they are growing. Growth potential is crucial for buyouts -- especially in a new, booming sector like pot. And this new acquisition paves the way for a new 700,000 square foot indoor and greenhouse production facility. That’s almost guaranteed to send share prices soaring. That’s because this tiny stock could receive its cultivation license from Health Canada - sparking a major move for the stock. And it also shows the intense scrutiny you MUST go use in order to find these types of companies. For these companies to be candidates of buyouts they must go through a thorough vetting process. They go through the ringer. That’s why you must be careful about which companies you choose. I’ll even do all the hard work for you. My team spends hundreds of man-hours researching these companies -- pouring over the details of every single potential investment. Their intellectual property and proprietary technology. Our mission is to ensure each of these companies is among the best pot companies on the planet. And those are the companies we want to make sure we get into -- when the time is right. A company with patent-pending technology to infuse cannabis into drinks -- creating massive disruption in both pot and beverage market. I have all of this research (and more) ready for you. What is the 420 Club? 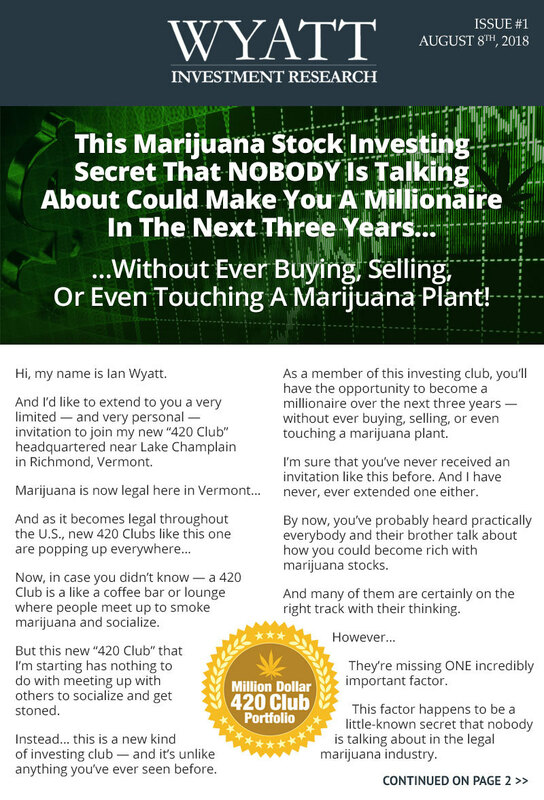 This “420 Club” could help you grow your nest egg to $10,000 in just a few years. Then joining me on this journey could be the best investment decision you ever make. Becoming a member of my new “420 Club” will be unlike anything you’ve ever done before. And I promise you that it will give you a chance at huge, life-changing profits. I don’t know of any other way you could legally 10x your money like I’m planning to do in such a short period of time. This is serious investing… and I’m looking for serious people to join me on this three-year money making journey. And I have absolutely ZERO doubt in my mind that it will be life-changing for you in a very positive way. In fact, I can’t wait to start reading the stories of people I’ve helped become “marijuana millionaires. Let me share with you everything you’ll get when you join my newest and most exclusive research service, Million Dollar 420 Club Portfolio, today. Each week, you’ll receive my weekly newsletter where you’ll see my Million Dollar 420 Club Portfolio started with $100,000 of my own money grow over the next three years. I’ll share what companies I’m buying, what companies I’m selling, why I’m buying or selling them, and what companies I’m closely watching to buy in the future. I’ll let you know when to take profits, and when to hold on for long term gains. You’ll have your finger on the pulse of all the “movers and shakers” within this rapidly-growing sector of the market over the next three years. Plus, you’ll be able to access all of my archived newsletter issues, alerts, and special reports at any time on our private Members-Only website. 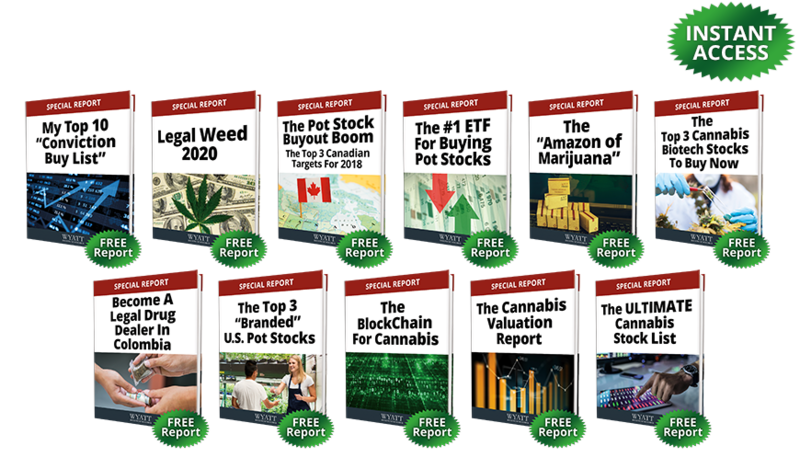 I’d like to bring you up to speed with several important reports that will get you ready to start building your own million dollar marijuana stock portfolio. Think of these special reports as your crash course “One-Day PhD” in marijuana investing. 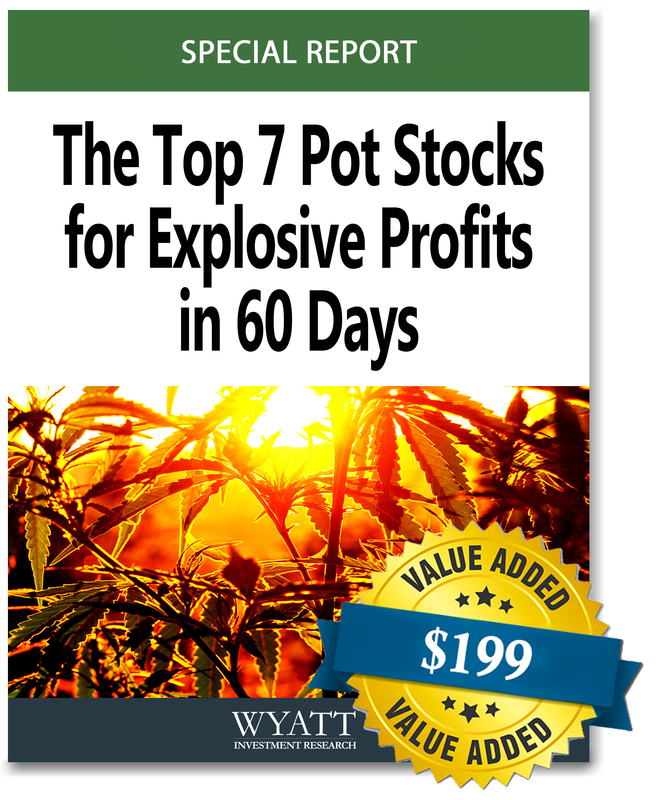 You’ll know more about marijuana stocks and investing than 99% of other investors! These will be the first 10 stocks going into my Million Dollar 420 Club Portfolio. I highly recommend you buy these stocks as soon as possible! 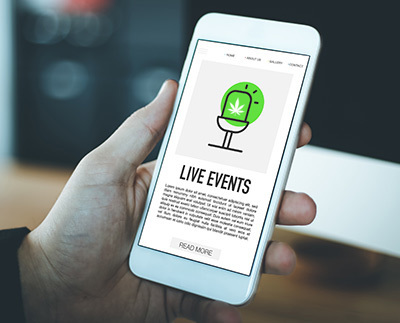 In this special report, you’ll discover several ways you can profit from the growing legal marijuana industry in the US and Canada over the next three years. Here, I report on the historic mergers and acquisitions activity in this sector, and highlight three companies that could be attractive acquisition targets and provide you with exceptional profits. Some investors love investing in Exchange Traded Funds (ETFs), which are similar to mutual funds… only with more benefits for investors. This report details what I have identified as the best ETF for marijuana stocks. This report covers a unique company that we call “The Amazon of Marijuana.” The company is NOT a licensed producer. Instead, it’s a global e-commerce company that sells cannabis products directly to consumers. Here, I’ll share my newest research on the coming wave of cannabis related pharmaceuticals. The pharma sector is expected to be 50% of a $100 BILLION market in the U.S. and these three companies are at the forefront of the opportunity. In this report, you’ll discover a newly public company that’s focused on the legal Latin American marijuana market that is currently based in Colombia and also expanding into Mexico. These companies are not only GROWING cannabis, but they’re also creating consumer brands. In fact, I wouldn’t be surprised if one or more of them become a household name within the next three years! By now, you likely heard about blockchain technology for cryptocurrencies like Bitcoin. This report focuses on a new company that’s creating blockchain for the cannabis sector, and how the technology they’re using could help secure the entire supply chain in the U.S. and Canada! In this special report, you’ll see how I assess the value of various marijuana and marijuana-related stocks using a unique “market cap/production capacity” valuation, and find the ones with the best value for my portfolio. To round out this report series, I’ve created a complete list of every publicly-traded cannabis stock through June of 2018. Just having this list alone puts you miles ahead of every other marijuana stock investor, and will allow you to even discover some cannabis companies that may offer products or services that you’d like to try out for yourself! But when you become a member of my new “420 Club” today — you’ll get them all for FREE! 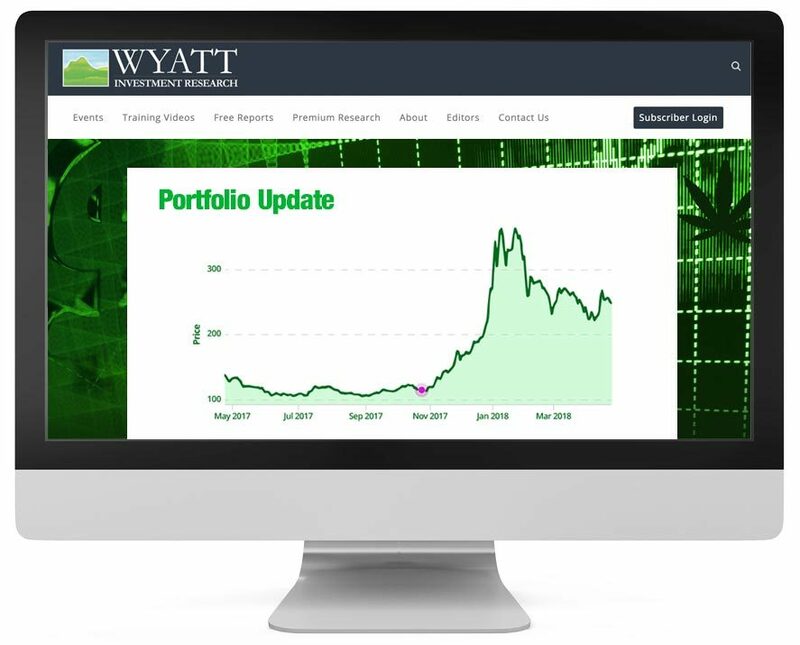 As a new member, you’ll have access to my monthly online video briefing where I will discuss the portfolio, particular stocks we’ve recently bought or sold, new innovations at marijuana and marijuana-related companies, and governmental regulations and developments. Members-Only website if you’re unable to make the call. As soon as you join, you’ll receive a log-in and password to my private Members-Only website. Here, you can browse through all our past issues, trade alerts, and every special report and video I release for this service. You’ll be able to track my real money portfolio — month by month — and watch as we hit each milestone on the way to a $1 Million Portfolio. 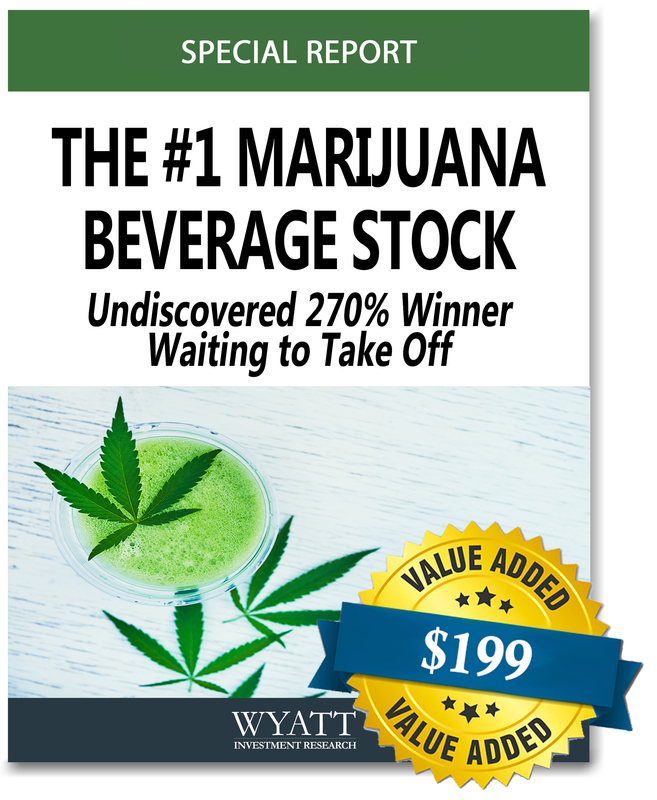 I’ll reveal the best stock to take advantage of the exploding interest in THC- and CBD-infused beverages. This company owns unique patent-pending infusion technology and easy access to cannabis, giving it the inside track on partnerships with major alcohol AND non-alcoholic beverage companies. This is a perfect opportunity to make 270% (or more) within just a few weeks. But you must get in now. Learn the little-known indicator that has predicted huge price movements from 402%... to 648%... and even 821% returns. Plus, see the brand new opportunity it’s just signaled is a “BUY”. It’s a tiny pot company... could make you a quick 455% profit. This report is for you. U.S. midterm elections on November 6th legalized cannabis in Michigan, Missouri, and Utah. That could expand the LEGAL market by 19.2 million people! These top 2 “All American” cannabis stocks dominate the U.S. market. And their shares are ready to surge in the December rally. Don’t wait another minute – claim this FREE bonus report today! 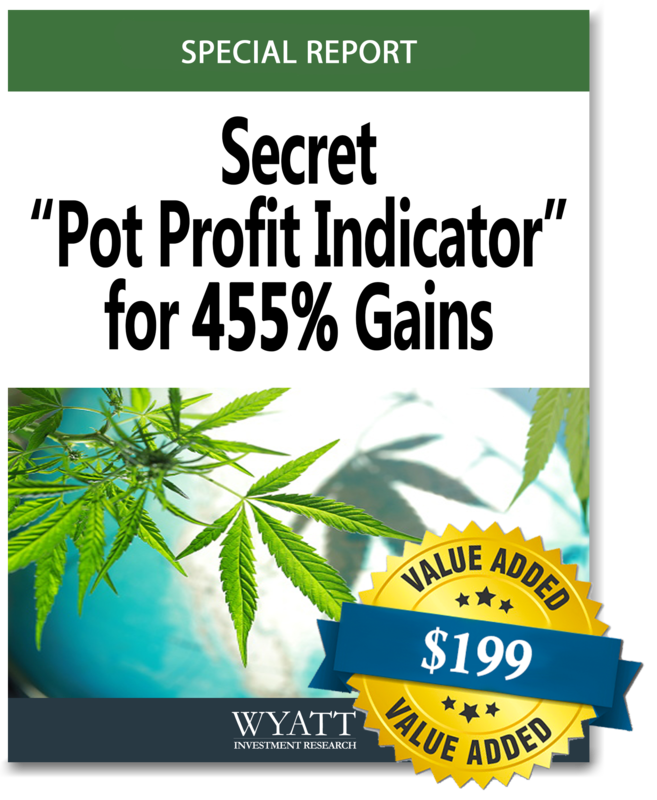 I’ve done everything in my power to make this – in my opinion – the simplest, safest and most profitable marijuana stock research service you’ve ever used. That’s why I think it’s safe to say… you are in a position, right now, to radicallyshift the trajectory of your life in a positive way and never have to worry about money again. Today, we are still in the infancy stage of this massive marijuana market. It promises to grow by leaps and bounds over the next three years. Then I would like to personally invite you to try out my Million Dollar 420 Club Portfolioresearch service. I still guarantee that you could turn every $10,000 invested into $100,000 or more in the same period of time! Imagine the financial peace of mind that kind of money can bring you and your family. It truly can be life-changing. That’s why I’m 100% positive that my Million Dollar 420 Club Portfolio could help you achieve all your investment goals, whatever they may be, faster than you ever thought was possible. You just have to be willing to take the next step. You have to be willing to discover something new, step out of your comfort zone, and follow my lead. I’ll be guiding you each step of the way. Now, as you can imagine, I could easily justify charging as much as $10,000 for access to this service each year for experienced and already “well-to-do” investors. And given my proven track record and results, many of them would be more than happy to pay it. I’m a teacher at heart, and I believe this growing sector of the market could help practically anyone become wealthy in a relatively short period of time. Whether you’re starting with $10,000 or $100,000 or even if you just want to discover how to become a better investor with your money in the marijuana industry. Because of the exceptionally high profit-potential, the retail price of my new Million Dollar 420 Club Portfolio research service will be set at $2,995 a year. That’s how much you will have to pay if you sign up for this service on our company website later this year. And that’s still an incredible deal considering the value of all the membership benefits I mentioned earlier comes to $3,734. If you’re among the first 200 people to join today – you’ll only pay $1,795 for a three-year membership. That’s right, you’re getting three full years of this service for a one-time payment of just $1,795. In other words, you’re getting three years for LESS THAN HALF of what other people will have to pay for just one year of access to this service. So why such a substantial discount? Quite simply, because I know in my heart of hearts that I could significantly change your financial life for the better over the next three years. I’ve set out on accomplishing a HUGE investing goal of starting and growing a $1 million portfolio in three years… so it is only fitting that I create a simple 3-year membership. I’ve seen far too many investors jump from one research service to the next without ever truly committing to one strategy or system, and I don’t want that happening to you. Plus, I don’t want the up-front price for this service or worrying about yearly renewals ever to be an issue for you. I can guarantee you – right now – that nobody else has ever made an offer like this before. Fair Warning: Because of this substantial discount – I am reserving the right to only allow the first 200 people to join today at this special price. I’ve never made an offer like this before, and I will likely never do it again. Not to mention, the retail price for this service will be $2,995 per year later this year. So with over 350,000 people already on our email list, I guarantee these spots today will go quickly. Since you’re willing to make a commitment to improving your financial future today, I’m going to make a commitment to you. Then I will continue to work for you for FREE. Simply contact my customer care team, and they will take care of you! Again, I guarantee that you won’t see anyone else that is making a guaranteed 3-year offer like this. Not to mention, in this presentation, you’ve already seen numerous investment recommendations I’ve made that provided triple-digit and even quadruple-digit gains for my readers. So we could even hit our goal in less than three years! Also, no matter what, you’re still covered by my company’s 100% satisfaction guarantee. Give us a call to cancel the remaining portion of your membership, and to transfer your account balance to one of our other research services. They will end up still preferring more “traditional” investments and stocks that they’ve become used to over the years. And that’s completely OK with us. Until you find one that best fits your needs. Of course, I think you're going to love being a member of this new exclusive research service, and will feel a sense of excitement every time you take profits on your marijuana stocks. So just click the button below to review the details your membership. But remember… time is running short. This special offer is guaranteed only for the first 200 people who get started today, and we have over 350,000 people on our email list. Additionally, we’re closing enrollment to my “420 Club” soon and I don’t want you to miss out! I sincerely hope I’ve given you everything here to make this decision easy for you. This is the most exciting adventure – aside from raising my children with my wife – that I have ever set out to accomplish. And I hope you decide to join me. Simply click here now to start your membership to my Million Dollar 420 Club Portfolio today. You’ll have the chance to review all the details of my special offer on the next page.